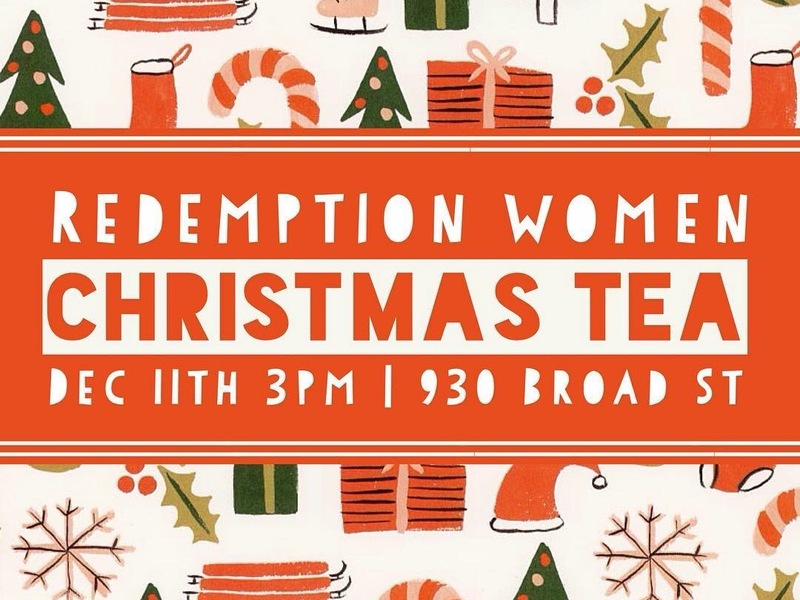 Redemption Women will be hosting our Inaugural Christmas Tea this Sunday, December 11th at 3 PM, at the Doris Building. Please join us as we celebrate this season of hope and joy together! In true tea party tradition, we will have hot tea, scones, tea sandwiches, cookies, muffins, and more! Festivities will include an ornament exchange, games, door prizes, and fellowship. Please plan to bring a wrapped ornament for the ornament exchange. However, if you are unable to bring an ornament for any reason, please do not let that hinder you from attending as there will be plenty of extra ornaments. Childcare will be provided, but please RSVP quickly, so that we can accommodate the amount of children. We hope you will join us for this joyful and whimsical celebration of the Christmas season!